This bathroom tap made for free-standing basins has an extra-high spout and smooth body, and brings together a range of user-friendly technology. The GROHE FeatherControl cartridge lets you vary water temperature and volume easily. The GROHE EcoJoy feature caps water use at 5.7 litres per minute, cutting consumption by up to 50% but maintaining water flow. The GROHE QuickFix Plus system has the added benefit of quick and straightforward fitting. Maintenance also requires less work. The SpeedClean anti-lime system guarantees any limescale building up on the aerator can be cleaned off with just a wipe. 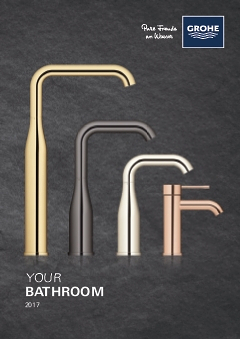 The GROHE StarLight chrome coating is hard-wearing and protects the tap from damage. It will also have a positive visual impact on your bathroom.